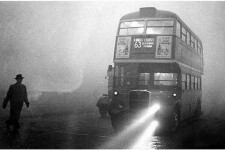 Hear Londoners recall the Great Fog of 1952. The “Pea Souper” was an anticyclone that rocked London for several days. 12,000 people died during the fog and Winston Churchill’s leadership was questioned. The fog lasted from December 5th until December 9th of the year. 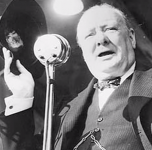 Prime Minister Winston Churchill delivers his famous “Blood, Toil, Tears, and Sweat” speech to the House of Commons on May 13, 1940, just days after his election. Former Prime Minister John Major recalls how American Nancy Astor became first female member of Parliament and describes the relationship she had with Winston Churchill. 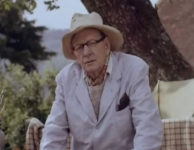 Painter Paul Maze recalls his first meeting with lifelong friend Winston Churchill and explains how the Prime Minister’s own paintings convinced him continue creating art. 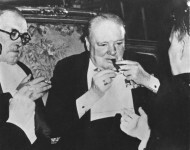 David Brinkley describes what happened when he played with poker with Winston Churchill and President Truman during the Prime Minister’s visit to America to give the Iron Curtain speech on March 5, 1946.